In an important ruling which can be used by other Vets, Veterans Law Judge Vito Clemente made a finding of fact that Porphyria Cutanea Tarda (PCT) can be rated at 100%. The argument is universal and can readily be fashioned to fit other Veterans’ circumstances. All cites are ready for cut and paste. In fact, 38 CFR § 4.20 could not be enunciated more clearly had a panel been convened at the Dead Circus for the subject. You’re going to like this. I guarantee it. Here’s the decision and then we’ll bisect and dissect it for useful content. 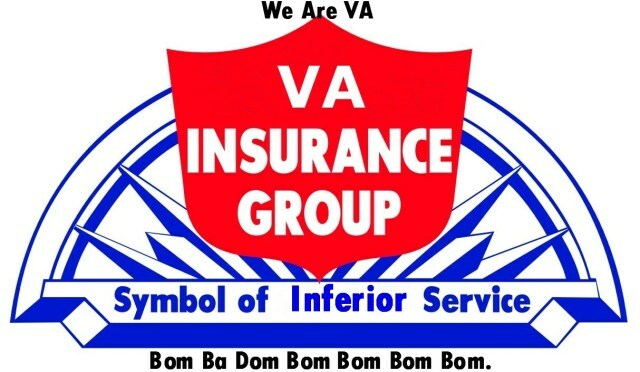 To begin, the problem was VA’s refusal to honor a Compensation and Pension exam doctor’s statement that clearly and unequivocally stated in no uncertain terms that I was totally disabled. He pointed to the PCT- above and beyond my total disability for Hepatitis C alone- as a total disability in and of itself. This is why VA decided to fight it. Over the years, porphyria jurisprudence, be it secondary to Hepatitis C or from the presumptive exposure to Agent Orange, has been spotty and unevenly applied. I’ve even seen a convoluted decision in the obverse where a Vet got service connection for Porphyria within the first year following separation and then Hep C as a secondary decades later. It’s in the Blogs by Subject under porphryia cutanea tarda. For the most part, jurisprudence has corralled it under 38 CFR §4.118 (skin) Diagnostic Code (DC) 7815. VA knows this Diagnostic Code doesn’t encompass the mandatory phlebotomies to control it but regularly assigns a 10% rating based on the amount of exposed skin involved. In my case, the rater said I didn’t qualify via percentage of skin involved at 10% but they were granting it for the phlebotomies. In essence, they made no effort to find an analogous rating whatsoever. 10% does not incorporate the total disability diagnosed. Should you appeal, as I did, the raters tend to jump into 38 CFR 4.117 (hemic and lymphatic systems) and DC 7704 for polycythemia vera. Under 40%, it simply lists phlebotomies. There is no discussion on frequency. What is missing from the equation is the resultant anemia. In addition, VA views dual ratings for porphyria as pyramiding and took back my 10% for my skin involvement and issued a 0% in its stead. That was CUE. Once issued, a rating cannot be revoked except for fraud or the components of CUE-the correct facts were not before the rater or the laws, as they were at the time, were not followed. Even if one or the other were present, it would also have to manifestly change the outcome. VA ignored all that. The 10% was restored quietly after I filed my writ, as was an increase from 40% to 60% for the phlebotomies based on an old 1994 anemia diagnostic code but the elusive 100% was not to be. This is what I sought on appeal. If a doctor, not a rater, mind you, says you are totally disabled, it stands to reason he knows what he’s talking about. For a lowly rater (read VA examiner) to upstage the MD is chutzpah only the VA could orchestrate. I searched the diagnostic codes throughout Part 4 and strove to find an analogous rating that best described what a phlebotomy accomplished for my PCT. Since the object is to rid the body of heme (iron) that results from the liver failing to filter out the dead red blood cells, the phlebotomy has to throw out the baby with the bath water. There is no way to filter out the heme and return cleansed blood to the body. Dialysis is similar in that it does this to the blood and accomplishes what the kidneys are no longer capable of-filtering out the impurities and returning the blood to the subject. VA stated that analogy was right out. It only allows a 100% rating and they simply refused to even consider it. The obvious analogy is the removal, by venous access, to the blood. Since there is no perfect analogy to be found, dialysis under 38 CFR §4.115 is the closest diagnostic code available. I have been shouting this from the rooftops since I spotted the doctor’s observation that the PCT was totally disabling several years ago. VA raters in Seattle have been just as adamant that it was only permissible to rate the PCT under one DC to avoid the pyramiding of 38 CFR §4.14. Obviously, they were wrong and they surreptitiously tried to correct it without drawing any overt attention to it following the filing of the Writ. No mention of CUE was detected-just a ho-hum restoration of the clawback and a 10% rating back on the books. That they can do this with no explanation or Monday morning quarterbacking is disingenuous to say the least. To me, it’s merely part and parcel of the whole sordid, surreal experience. Surely another Veteran has encountered this scenario and been subjected to the same treatment. It may be I was the only one who decided to throw down and call them out. Most Vets haven’t spent a third of their life fighting VA and learning the ropes. Judge Clemente was more that open-minded on this. Quite obviously, he and his staff attorneys did some true, in-depth analysis of my arguments and concluded they were persuasive. The overarching principle of PCT abatement is one of reducing the heme. To do that entails removing blood-lots of it and frequently. The cure works at the expense of severe anemia. 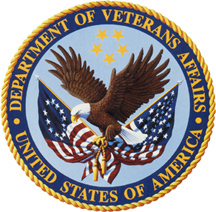 VA raters were unwilling to call it “frequent” phlebotomies, preferring instead to classify it as “intermittent”. As I have mentioned in my book and these blogs, semantics is everything with VA. Therein lies their eventual downfall and defeat on appeal. Read any denial decision and parse the words carefully. Eventually you will run into the conundrum that reveals the word game shenanigans. Trust me when I say there is nothing intermittent about trotting down to the hospital every month for a 1-pint bloodletting. Considering you only have ten pints, it’s only a matter of time before the check engine light comes on. Similarly, when you bend over to tie a shoelace and see little black spots clouding your vision and feel like you’re on LSD, you discover there is more afoot than a little anemia. The Seattle VA examiners and the DRO simply would not, or could not, bring themselves to see that and grant what the doctor had stated. Many fellow attorneys have commented that once you attain a 100% rating, be it scheduler or TDIU, the impetus to give you another is blunted. The philosophy is that you’ve been remunerated. It’s time to move on and let others have their shot at VA’s misogynistic justice. This decision will help innumerable others to attain the same. It’s ability to persuade should be elementary. While it doesn’t have the same cachet of a panel decision at the CAVC, it still enunciates a precept of VA law and regulation. The C&P doctor is presumed competent to understand the instructions to render a valid diagnosis (Sickles v Shinseki). Likewise, §4.20 is clear enough in its language to deter tenuous analogous ratings. The whizbangs at Fort Fumble in Seattle are hidebound in their devotion to stupidity. For years they have mangled the PCT ratings by relegating them to the the wrong standard. If this were simply an oversight, Veterans could swallow their logic. Once put on notice that the regulations were open to more and different interpretations, they resisted with all they had. Only an Extraordinary Writ that drew the VA Secretary’s attention to it sufficed to move them into new pastures. Moreover, my taking advantage of the offer by our new VA secretary, Big Mac (Call me Bob), was unavailing. Four days later, my DRO, Cheryll Anne Mackey-Rivas merely listened to my theory and issued a Statement of the Case iterating a wholly new concept of the definition incorporated in §4.15 regarding total disability. Ingenuous? Yes, but outlandishly so. That’s the hallmark of the VA. Her answer was probably not what Big Mac envisioned. It was the darnedest denial I’ve yet received. Cherylann Mackey-Rivas’ SOC was a semantic sleight of hand and she probably got a promotion for this one. This entry was posted in AO, Blood info, BvA HCV decisions, CUE, Nexus Information, Porphyria Cutanea Tarda, Presumption of Regularity, research, Tips and Tricks, VA Medical Mysteries Explained and tagged Agent Orange, ASKNOD BOOK, asknod.org, asknod@wordpress.com, Disabled Veteran, DIY vA Claims, HCV, HCV Decisions, HCV Health Tips, HCV Veterans, HCVETS, Help with vA Claims, Helping Veterans, Korean War Vets Help, Service Connection, VA claims, vA claims for PCT, VA HCV Claims Help, VA Medical Care, Veterans claims help, Vietnam Veterans Claims Help.. Bookmark the permalink.